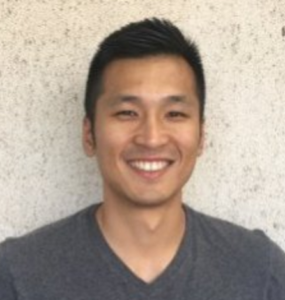 OATV, or O’Reilly AlphaTech Ventures, is a seed stage investment firm based in San Francisco with a track record of backing robotics startups in emerging areas. As well as investing in Fetch Robotics, some of their other hardware investments include 3D Robotics, Planet Labs, Misfit Wearables, Littlebits and Sight Machine. OATV typically invest between $250,000 and $2 million into startups at a critical early stage of development. This pre-revenue runway helps startups refine their prototypes, determine product/market fit, and achieve strong follow on rounds. OATV invests early, typically before market categories are well defined. What’s OATV’s investment thesis and how does that make you look at robotics companies? We like to look on the edge. If you take a look at our portfolio, there’s a wide array of companies in different categories. You have anything from consumer internet companies like Foursquare to satellite companies like Planet Labs to drone companies like 3D Robotics and logistics companies like Fetch Robotics. We made each investment when we sensed the emergence of a new category. When we think a “thing” is going to become a “thing,” we try to find companies and entrepreneurs in those categories very early on and back them just before the categories are really created. Before 3D Robotics, drones wasn’t really much of a category. And neither was space before Planet Labs and other pioneering companies like SkyBox. Our focus has been on that strategy applied at the seed stage. We’re a little bit different than other seed firms in that we invest in fewer companies, about six a year. We concentrate more capital into those companies and take more of an all-in approach. Our personal philosophy and style is to try to work more closely with the companies we invest in, and it becomes hard and unwieldy to do that if you invest in too many companies within one year. When it comes to robotics, we are seeing a lot of interesting things happen. There has been a confluence of technologies enabling new forms of robotics, from innovations in actuators enabling compliance and collaborative robotics to innovations in sensors and software. ROS, or Robot Operating System, only emerged these last few years, and before that, software development for robotics was exceedingly difficult. 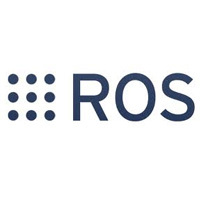 The advent of open source communities and platforms like ROS has really catalyzed the field. So those are some of the enablers on the technology side. There’s also a lot happening on the market side, and market pull is just as important as technology. Just to give one example, let’s take a look at e-commerce and what’s happening with consumers. They want things faster, cheaper, and personalized, and this just creates so much pressure on a lot of these manufacturing, supply chain, and logistics companies. At the same time, there are macro trends within the labor economy, as baby boomers start getting older and labor supply is expected to drop significantly. The confluence of all these factors puts logistics companies in a tough spot. People tend to forget that someone somewhere still needs to make, package, and ship things as part of e-commerce’s backend. Suddenly, automation and robots make a lot of sense and are economical. That’s how we see the robotics industry, and while that example is specific to the logistics industry, I think there are a lot of industries where automation and robotics are going to come into play in similar ways. It’s going to be a collision between technology enablers on one side and intense emerging market demand on the other. Could you expand on some of the trends enabling robotics and automation in logistics? I’ll talk a little more about market pull. Depending on country, online sales make up somewhere around 10% of overall retail. You can see how massive companies like Amazon and Alibaba are, and that 10% online share of retail will only continue to grow. It speaks to the growing volume of work that has to be fulfilled on the backend of e-commerce. I think a lot of people, especially consumers, don’t see how much work has to go into fulfilling those online orders. There is a box that has to be moved. There is something that has to be packed. There is something that has to shipped and transported. That’s kind of shielded away from consumers’ eyes. But it all has to be done, and it’s becoming more and more challenging for logistics companies to fulfill all these operations economically. I can give you another statistic on the labor side. A lot of people have concerns about how robotics and automation will disrupt labor, which I think is valid and true to a certain extent. But I think you also have to be nuanced about it because if you actually look at the manufacturing and materials handling industry, particularly in the US, there is a huge job gap of 600,000 people because there is not enough sufficiently skilled labor to execute on the work to be done. That then presents an opportunity for robotics and automation to come in and fill that gap. These are the powerful forces we see driving robotics: the really intense demand for logistics fulfillment, and simultaneously a lack of people to do all the work at an economical cost. What other areas of the commerce value chain can robotics, smart automation and AI potentially improve? There’s a ton of room for cost reduction via automation, but it’s not necessarily with just physical automation. There are software solutions as well that can make supply chains a lot more productive. For example, our portfolio company Fetch Robotics is tackling the logistics problem by streamlining operations in factories and warehouses with a mobile robotics platform. However, Fetch will be just as much about its future operations management software and application data as its material handling robots. At some point, all the goods that a company like Fetch moves around will need to be packaged into containers to be shipped all around the world. Another OATV company called Haven is creating a marketplace for streamlining how container shipping is booked. If you think about it, it’s rather ridiculous that people still have to call one another and use manual paper-based processes to mix and match which containers should go on which ship. It’s just very inefficient, and it hurts business by not maximizing fulfillment of shipping capacity. This is a case where relatively simple automation through purely software and a web application can go a very long way in driving up productivity in the supply chain. The take home message here is that when I think about automation for improving supply chains, it’s not necessarily just robots with arms that move around and pick things up. It’s as much about the software as it is about the hardware. What are some examples of OATV portfolio companies, perhaps not robotics companies but where the lessons can be applied to robotics? I just talked about Haven a little bit – it’s essentially an online marketplace for more efficiently filling capacity on ships for shipping things. a data platform company. They aggregate data streams across the manufacturing floor, perform analytics on them, and offer a frontend dashboard for customers to understand exactly what’s happening along their manufacturing lines. That has a ton of value because that kind of intelligence is what will allow decision makers overseeing operations to keep things up and running efficiently. Another example is Riffyn. They are similar to Sight Machine in that they are also a data platform that aggregates data streams, but their focus is on the R&D lab for life science companies. Currently 70-90% of R&D results in the life sciences are not reproducible. If you are a pharma company, imagine the egregious amounts of R&D money wasted due to poor process control. Companies like Riffyn perform data automation to give science-driven enterprises control of their processes again. They automate data collection, root cause analysis and continuous deployment of improved process designs to drive up productivity for the R&D pipeline. Both Sight Machine and Riffyn automate workflows to enable superior operational intelligence, flexibility, and performance to drive up productivity. While neither company is a robotics company in the traditional sense, that exact value proposition very much applies to robotics as well. How is robotics today different from robotics in the past? Once upon a time, robotics was about stationary, highly repetitive, high performance, and generally expensive automation. Industrial robot arms would repeat the same action again and again with extreme precision. We’re not as excited about those applications. We think a lot more about flexible robotics. We think about programmable robotics. It’s no longer just about robotics automating specific human tasks. It’s more about how flexible robotics will enable superior operations overall. I would actually draw a parallel with what’s happening in the software world with the DevOps movement, which I think we’re shortly going to see in the physical world. With DevOps, the idea is to leverage a closed feedback loop to quickly iterate on software development, deployment and operations in a continuous fashion. I think this concept of continuous development and deployment will extend beyond virtual environments to optimize physical operations as well. That’s the sort of robotics we’re seeing these days, and I think that’s what makes these companies really exciting. Robots are no longer one-trick ponies that just automate a single task. Do you think these trends are leading to a change in the business model away from robots as capital expenditure? Will we see robots as a service? Or robots as a delivery mechanism for sensors and analytics? 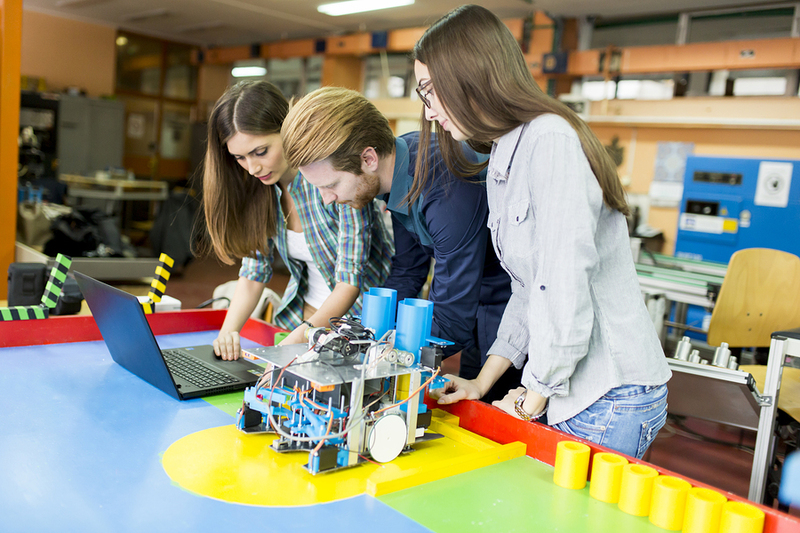 At the end of the day, the decision to use robotics is still at its core a question of ROI. For some companies the ROI math doesn’t add up, but for an increasing number of companies, I think it does. I do think though that there will be some interesting and innovative business models for robotics. How will future robotics products be priced? Some companies will make money selling hardware like more traditional industrial robotics companies. A company like Fetch Robotics makes a physical product that it will sell, but at the same time, there are potential SaaS-like revenue streams through the data applications and operations software that the company will offer. I’m definitely excited to see what new business models come out of all this. 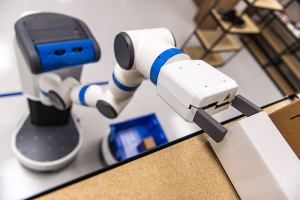 I’m excited about this new wave of robotics companies evolving from traditional robotics that have primarily been about static, repetitive processes. We are witnessing the emergence of the first platforms to offer flexible and programmable robotics that we haven’t seen before. I’m also really excited about learning what other verticals robotics will address. Most of the conversation about robotics has been centered on logistics and e-commerce, but there will be several other verticals as well. Applications like exploration, search and rescue, caregiving and more. I can’t wait. If you enjoyed reading this post, you may also like..